Birthplace of Maria Mitchell, erected 1790, Nantucket, Mass. 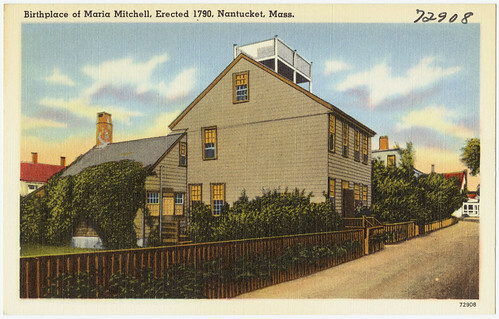 Title: Birthplace of Maria Mitchell, erected 1790, Nantucket, Mass. Created/Published: Tichnor Bros. Inc., Boston, Mass. Physical description: 1 print (postcard) : linen texture, color ; 3 1/2 x 5 1/2 in.